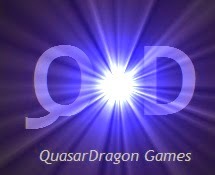 QuasarDragon: First Wave of Free Fiction - More to come. First Wave of Free Fiction - More to come. • At Black Gate: "So Go the Seasons" by Paul Abbamondi. Fantasy. "'Seasons are all amuck,' Uncle Hobnor said, pulling off his onyx black boots. Perry, standing next to him and dressed in the same grass farming attire, mimicked his uncle’s mannerisms. They had both been prepared for a cold so bitter it burnt skin in moments. Instead, they stood layered in clothes beneath a raging sun, its mere presence an iniquitous sign that Lord Banamp would not let up." • At HiLobrow: "Theodore Savage - Part 24" by Cicely Hamilton. Science Fiction. 1922. "Outside the little fortress with its noisome huddle of sheds and shelters lay a belt of ploughed land, of patches scraped and sown, where the women worked by the side of their men and worked alone when their men were gone hunting or fishing." At Daily Science Fiction: "Hiking in My Head" by Gareth D Jones. Science Fiction. At Flashes in the Dark: "No Good Deed" by P. J. Metz. Horror. At Quantum Muse: "Anastasia" by Patricia Todd. At Toasted Cake: "Looking for a Knight in Shining Armor" by Sylvia Spruck Wrigley. • At Author's Site: "Beam Up on Aisle Five, Pt. 3" by Scott Sigler. "The Rabbi and Big Ugly haven't yet made it out from under their obligation to Chad LaTilton, after the President wound up dead. After visiting Carnie, and getting info from Meth Cow, they're off to find The Magician. And Brock Sockman doesn't like it one bit. Not one little bit." • At Every Photo Tells: "Curds and Webs" by A.F. Grappin. Science Fiction. "Vail is on a mission to colonise new planets, but she doesn’t end up where she expected to." • At The Internet Archive [LibriVox]: Works of Edgar Allan Poe, Raven Edition, Volume 4. Horror. Dark Fantasy. "The families of Berlifitzing and Metzengerstein had been at variance for centuries. Never before were two houses so illustrious, mutually embittered by hostility so deadly. Indeed at the era of this history, it was observed by an old crone of haggard and sinister appearance, that 'fire and water might sooner mingle than a Berlifitzing clasp the hand of a Metzengerstein.'" • At The Internet Archive [LibriVox]: The Fixed Period by Anthony Trollope. Speculative Fiction. A satirical dystopian novel. "It deals with euthanasia as a radical solution to the problem of the aged. The novel is in the form of a personal account written by the President of Britannula about the island's recent history. It has often been said that when the book came out Trollope had reached the age of 67. Interesting is the fact that this is the exact age at which all Britannulans are required by law to retire from their worldly affairs and begin a year of preparation for death"
• At 19 Nocturne Boulevard: "The Secret of Kralitz" by Henry Kuttner. Horror. "I awoke from profound sleep to find two black-swathed forms standing silently beside me, their faces pale blurs in the gloom. As I blinked to clear my sleep-dimmed eyes, one of them beckoned impatiently, and suddenly I realized the purpose of this midnight summons. For years I had been expecting it, ever since my father, the Baron Kralitz, had revealed to me the secret and the curse that hung over our ancient house. And so, without a word, I rose and followed my guides as they led me along the gloomy corridors of the castle that had been my home since birth." Audio Fiction at Crime City Central: "Returning to the Knife" by David Corbett. Flash Fiction at Every Day Fiction: "Quiet" by Carl Steiger.